Collaborating with the American College of Gastroenterology over the last few years to help physicians comply with healthcare laws has been a wonderful experience. 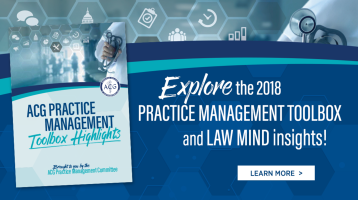 I’m excited to share newest publication from the ACG, the Practice Management Toolbox. The columns I write for the ACG’s magazine appear in the Toolbox, along with practice tips from practicing gastroenterologists. ACG Practice Management Toolbox Highlights is available here.